Portland, Oregon-based Ways & Means offers custom embroidered patches that can be applied to hats, beanies, backpacks, sweatshirts, jackets, polo shirts, t-shirts, and more. Woven patches are a great alternative to embroidered patches when your artwork requires precise detail. Woven patches use thinner threads so you an achieve a greater accuracy with small text and design features. To create photographic realism, a printed patch is the best patch option. Color gradients and unlimited shades are all possible with printed patches. Leather is a high-quality option for custom patches. 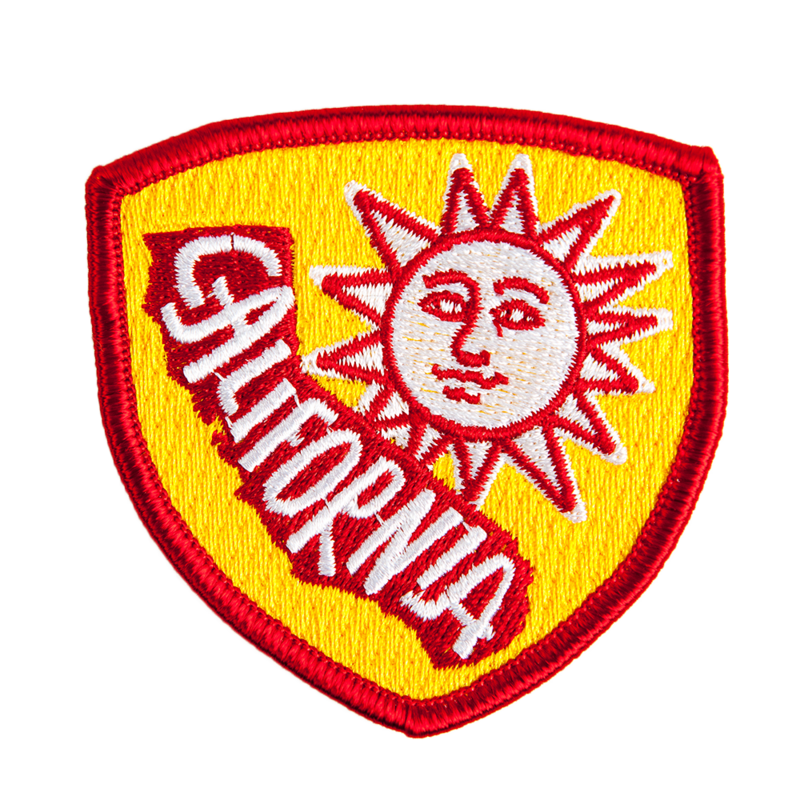 Leather patches can be printed with the design of your choice, or can be debossed/embossed. Ways & Means offers a wide variety of stock leather colors, as well as custom-dyed colors to match Pantones. Genuine and faux (vegan) leather options are available for your custom patch. Overlock Stitch or Merrowed Border is the most common type of border seen on patches of all types. The thick border around several of the patches on the top of this page are all examples of an overlock stitch.